As the year comes to a close, we have much to be thankful for as we look ahead to another year of service to the communities of Washington and our many wonderful member companies and their employees. I am humbled at the passion, enthusiasm and commitment our members have in giving to the apartment industry and supporting each other and our mutual interests to promote quality housing in our state. 2016 was, in many ways, an extremely successful year for our association and our industry, and 2017 will be an exciting year of growth, innovation and excellence for WMFHA as we continue to look for ways to bring value to those we serve. Below is a recap of our collective successes and acknowledgements. Our association continues to grow and strengthen our role as a leader in housing for the state of Washington. Our membership now exceeds 1,300 members, including multifamily properties, property management companies and products and service companies. WMFHA ended the year with an 8% year-over-year property unit membership growth, having increased membership in 2016 from 950 properties with 164,000 units to 1,011 properties and 178,000 units. Management company membership has increased from 92 companies to 101 companies. Industry supplier partner membership increased to nearly 200 companies in 2016. 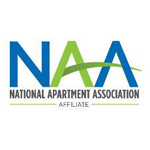 The National Apartment Association awarded the Washington Multi-Family Housing Association as one of the top 10 NAA affiliates across the country for membership growth in 2016. Our Members Using Members (MUM) campaign emphasized the importance of members supporting other members in our efforts to grow and prosper. It is our culture for our property management members to use our supplier members for their products and services. One of WMFHA’s mission objectives is to lead legislative regulatory policy that promotes and preserves quality rental housing for all. We employ the services of a Government Affairs team working to protect your investment. Our Director of Government Affairs, Joe Puckett, was honored with the National Apartment Association’s Grassroots Advocate of the Year Award. We thank Joe for his many years devoted to improving housing opportunities in this state and look forward to continuing our work to be the voice of the industry. In March, WMFHA staff and board members traveled to Washington D.C. to meet with our state’s members of Congress to build on our relationship with our legislators and to convey important positions of the housing industry on federal issues. Through member contributions, our Political Action Committee (PAC) was able to support state and local candidates who understand the valuable benefits our industry provides to neighborhoods, residents and to our local economies. These are important relationships as we ensure our voice is heard before any obtrusive legislation is enacted, and we appreciate all of our members who contributed to our PAC when paying their membership dues. The legislative session in Olympia was successful in that no bills aimed at restrictions or limitations on the housing industrypassed the legislature. One bill promoted by the housing industry passed, changing the time allowed to send out a security deposit accounting from 14 days to 21 days, a much needed relief. The bill also required property websites to indicate whether or not a property accepts re-usable tenant screening reports. educate them on the valuable benefits the housing industry provides to local communities in our state and the need for appropriate legislation to allow us to continue to provide affordable and quality housing for all. Elections for the Seattle City Council in late 2015 changed the make-up of the Council, with several councilmembers now working directly with tenant advocate activists to pass burdensome legislation adversely affecting the housing industry in Seattle. WMFHA advocates for less restrictions and more incentives to new housing development, as opposed to misguided government regulations that would curb new development and erode affordable housing. Policymakers need to work on long term and creative solutions that involve the housing industry in the planning process. One our primary mission goals is to promote professionalism through education. A highly skilled staff ensures your operations are more cost efficient, residents are happy, staff are more satisfied in their roles and a greater number of your apartments stay occupied. NAA’s Education Institute designation programs offered by WMFHA were successful this year, with 94 property management professionals who attended either the Certified Apartment Manager (CAM) designation, the Certificate for Apartment Maintenance Technicians (CAMT) course, National Apartment Leasing Professional (NALP), Certified Apartment Portfolio Supervisor (CAPS), the Certified Apartment Supplier (CAS) or the Specialist in Housing Credit Management (SHCM) affordable housing designation. In addition to the National Credential programs, WMFHA hosted 24 other educational events in both Western Washington and Eastern Washington providing training attended by 680 students. WMFHA’s Career Development Committee also launched our first annual Career Fair and developed the Residential Property Management JumpSTART program, bringing value to members by attracting new talent to the industry and giving the new hires the skills to be successful from their first day of work. Our goal for 2017 is to continue to recruit new talent to our industry. Thank you to those who served on the education committee and who taught classes this year – we have tremendous talent in our membership and we appreciate the support for our career development goals. Please review our website periodically to keep up with all of the exciting educational programs we will offer throughout the year, either online or in the classroom. This year, we made a commitment to enhancing our networking events. In 2016, WMFHA conducted many different business relationship-building events to bring our membership together for the purpose to networking, socialization, sharing ideas, providing important information about our industry - and having fun! The annual Emerald Awards recognition gala set a record with over 1,000 attendees. The three signature trade shows – Education Conference (EdCon), Maintenance Summit and Business Exchange reverse trade show continued to set records for attendance and drew many compliments from property management and supplier member attendees. EdCon continues to be the most valuable education conference and trade show for attendees in our market and will be held on April 19, 2017 in conjunction with Maintenance Summit and the thrilling Maintenance Mania competition. The Washington Apartment Outlook economic forecast luncheon continues to be the industry’s most successful and beneficial economic conference event. 700 attendees were treated to experts Mike Scott and Greg Willett discussing economic trends in our industry. Joe Puckett, Brett Waller and Senator Joe Fain offered tremendously valuable information on current political trends. The Holiday Giving Gala, with its silent auction, raised over $32,500 for Childhaven. In addition, our 10th annual Chili Cook-Off event raised a record $25,000 for DAWN this year, raising total donations to over $115,000 in the 10 year history of the Chili Cook-Off. WMFHA members worked with Rebuilding Together in our annual Community Impact Day. Member companies volunteered to renovate four homes owned by low-income veterans, including needed roof repairs, kitchen countertops, new appliances, a new gas furnace, gutters, windows, new carpet, landscaping and repairs. Members in Eastern Washington also conducted a similar volunteer day. Apartment communities throughout Puget Sound are conducting ongoing food drives for Northwest Harvest. To date, WMFHA members have worked to collect 18,000 pounds of food for Northwest Harvest. As stewards of our industry and leaders in our community, we owe it to ourselves to work together to advance the benefits and reputation of multifamily housing. The association enlists the assistance of many member volunteers participating on committees to help direct resources in order to conduct the business of the association. We are lucky to have outstanding committee members doing great work. I would like to personally thank the volunteer efforts of all of our committee members, without whose time and devotion we could not provide such quality events and education to benefit our membership. Please contact our office if you would like more information about committee involvement. I would also like to thank our Board of Directors and our Executive Officers for the leadership and guidance to keep this association on our successful path. I look forward to working with several new board members and officers in 2017 as we collectively advance the interests of our association. Barry Savage – Resource Management, Inc.
Lastly, I would like to extend a special thank you to our devoted staff – Jessie Kotarski, Brett Waller, Sloane Cerbana and Tricia Johnson. Their hard work and incredible service allows us the ability to meet the needs and expectations of our members. This year, I was extremely honored to accept the National Apartment Association’s prestigious 2016 Excellence Award – as the Chris Christenson Association Executive of the Year at NAA’s June Education Conference in San Francisco. This award is a testament to the efforts of our membership, staff and leaders and motivates us to continue to serve and grow our organization. To explore avenues to get more involved in the association, please call us at 425-656-9077 or e-mail me at jim@wmfha.org. I am proud to serve this association and wish everyone a safe and joyous holiday and a prosperous new year. We look forward to serving you in the coming year and making your housing association the best it can be.